The UO portfolio has broadened its focus to tackle the area of administrative and operational excellence. 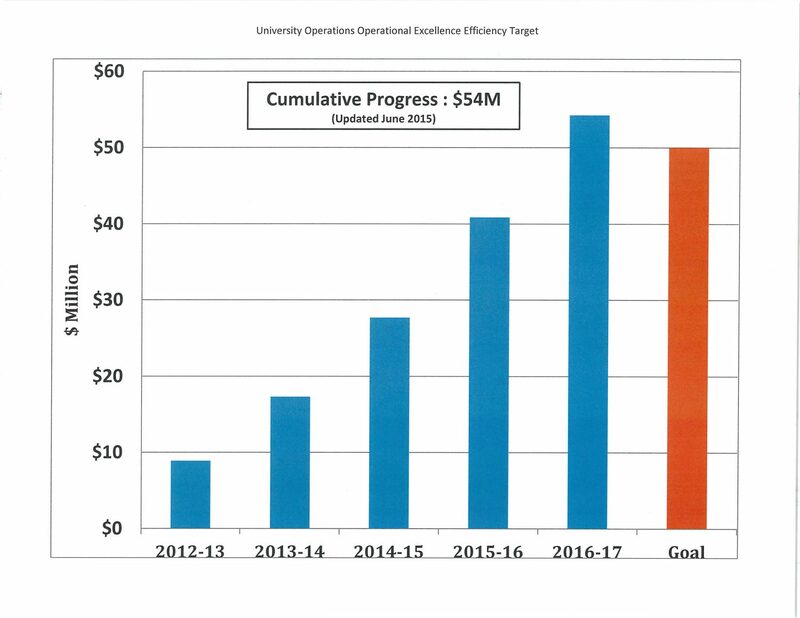 UO developed and announced an operational excellence target for new revenues and efficiency savings. The target of $50M cumulative total over 6 years, and $10M in the final year, was the goal for the portfolio. The goal was exceeded within the first 5 years, reaching $54 million in cumulative savings in June 2015. Projects credited towards the target will include both those inside the portfolio and those developed in partnership with others. Click on the Descriptions of Operational Excellence Initiatives below for more information. Several successes have already been achieved. These include server virtualization, data centre concentration, managed hosting of student email, development of Degree Explorer and My Research Application, multiple URRF projects (energy savings), and many others . In conjunction with the UO portfolio, the Medical Science Building has undergone a Building Energy Reduction Project that utilizes current and cutting edge technology in Building Automation Systems, Wireless Room Level Thermostatic Control Systems and Variable Speed Drives which has reduced energy consumption by over 45,000 GJ annually and 2,327 tonnes of eCO2.This is the equivalent of taking 1,836 average efficiency cars off the road. 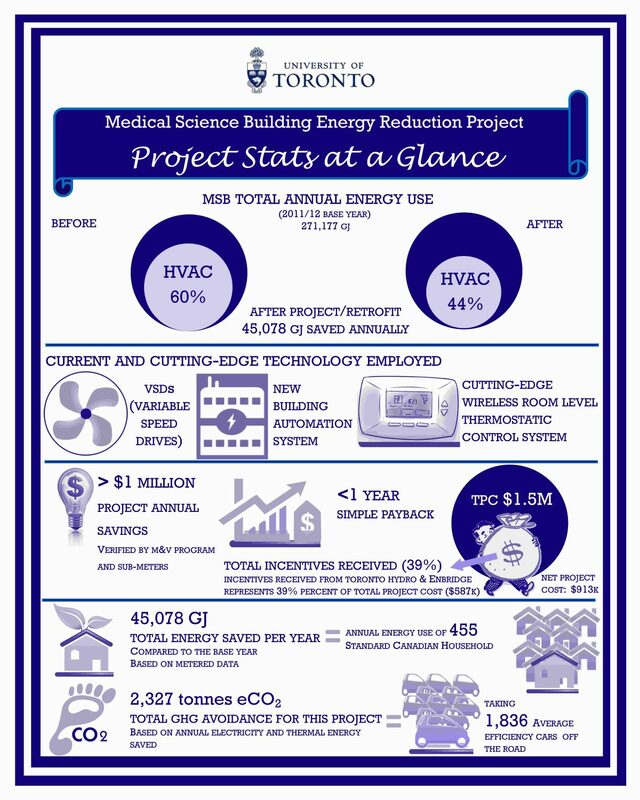 For complete project details click the infographic to the right.